Back in July I wrote a post on my All-time Top 5 Favorite Hikes. This past weekend I got to revisit one of the best: Tent Rocks National Monument near Cochiti Pueblo. This hike, less than an hour south of Santa Fe, has everything you could want in a desert trek: slot canyons, wicked rock formations and incredible views. 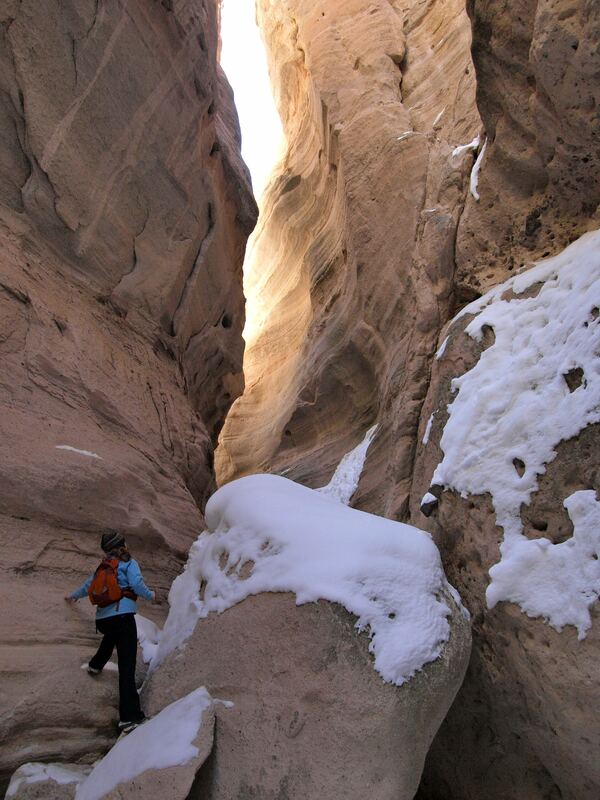 The first half of the trail winds through a slot canyon so narrow you can touch the walls on either side, then the canyon opens up beneath the 90-foot conical hoodoos that give this National Monument its name. Finally, the trail switchbacks up to the top of the mesa to an overlook of the slot canyon and tent rocks as well as sweeping views of the Rio Grande River Valley to the east and the Jemez Mountains to the west. This amazing place is a short drive from Cerrillos. I used to frequent Tent Rocks a lot more often back when the monument still allowed dogs. Since they closed it to pets in 2010, I’ve been back a handful of times to show it off to out of town friends. This trip I was in the company of Becky, who I brought here once before, and Sarah, who was here for the weekend on her first trip to New Mexico. 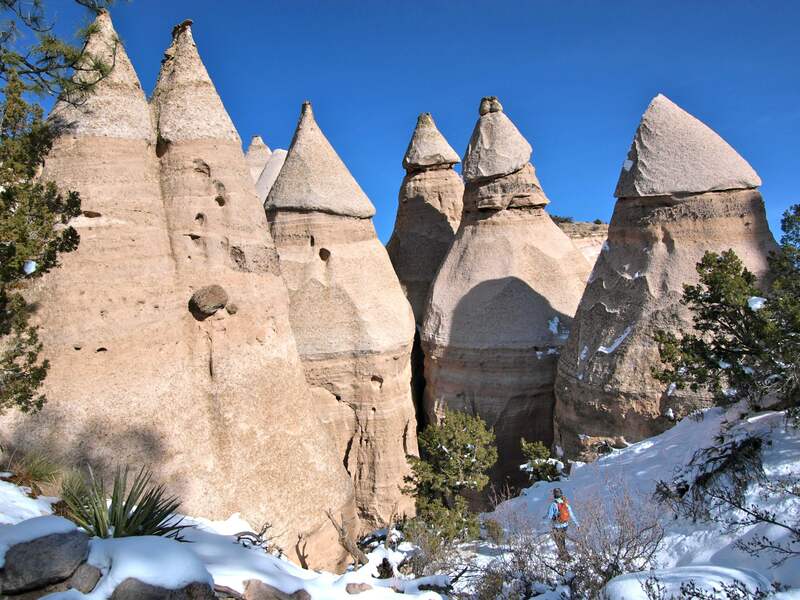 The slot canyons and hoodoos at Tent Rocks are formed from volcanic ash that blanketed this region of New Mexico in a series of explosive pyroclastic eruptions around 7 million years ago and then again between 1.6 and 1.25 million years ago. Over time the ash hardened into two formations: the older, finer Peralta tuff and younger, coarser Cochiti formations. 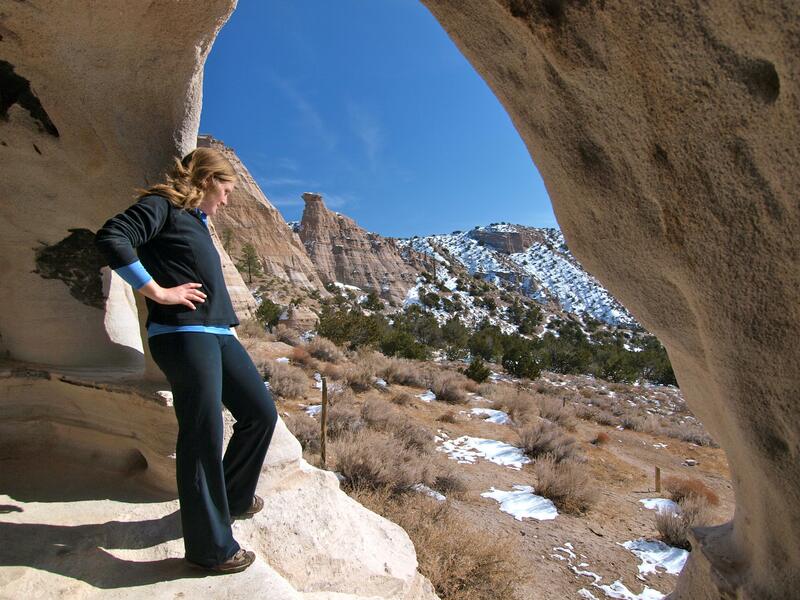 Tent Rock’s volcanic tuff is quite crumbly and readily carved by wind, water and people. Differential weathering of the layers has produced the distinctive pointy hoodoos as well as the sinuous slot canyon. 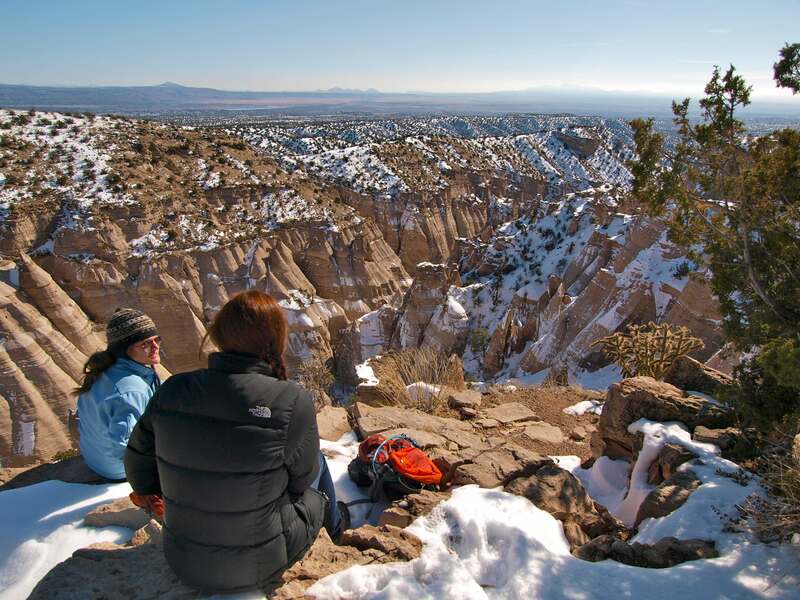 The 4-mile round trip hike also boasts a cave dwelling similar to the famous cliff caveats at Bandelier National Monument, just northwest of here. The caveats were carved by hand by the Ancestral Pueblo People between 1150 and 1600. Now that I’ve gotten another look at Tent Rocks, I’ll probably be going back for more. I love hiking with the dogs, but some places are worth seeing, even if it means going without them! 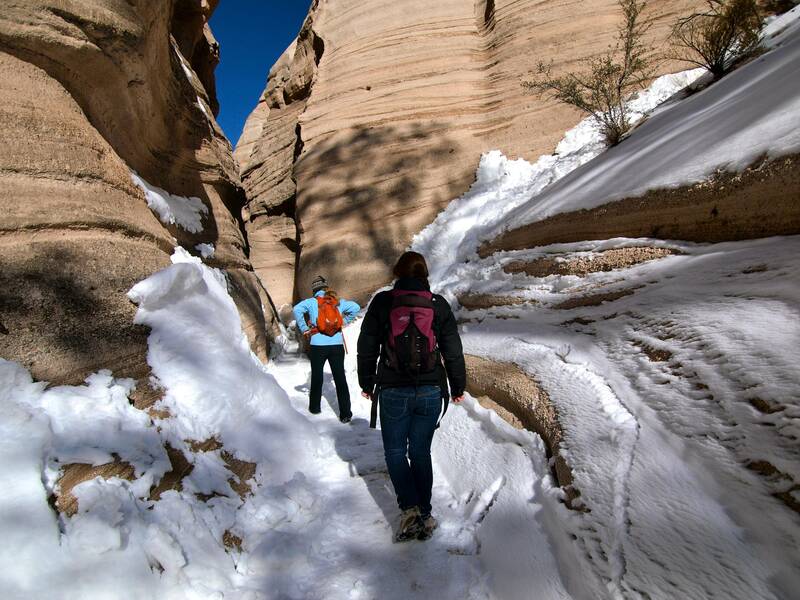 This entry was posted in Bowie & D.O.G., Hiking!, New Mexico, Photography and tagged Bandelier, National Monument, tent rocks. Bookmark the permalink. Amazing location! It looks so much like Moab. Thanks for sharing!